The Pulse of Entertainment: Lisa Gay Hamilton stars in Life of a King, with Cuba Gooding, Jr.
Lisa Gay Hamilton co-stars in Jake Goldberger’s’ drama Life of a King, starring Cuba Gooding, Jr.
Lisa Gay Hamilton stars in Life of a King with Cuba Gooding, Jr.
*Film director Jake Goldberger’s “Life of a King” starring Cuba Gooding, Jr. as Eugene Brown an ex-con using the game of chess to help inner city youth with the concept of making the right choice is in theaters now. Rated PG-13 Life of a King also stars Malcolm Mays, Richard T. Jones, Paula Jai Parker and Carlton Byrd. Hamilton said the film is loosely based on the life of Eugene who spent 18 years in jail for bank robbery. While there, through the game of chess, he learned many lessons he then, upon release, tried to introduce to inner city youth in his Washington, DC neighborhood. Life of a King is an Animus/Serena/Steak Haus Production distributed by Millennium Entertainment. Other co-stars include Dennis Haysbert, Kevin Hendricks, Pepi Sonuga, Jordan Calloway, and Rachae Thomas. Life of a King was released to selected theaters January 17, 2014. Learn more about the film at www.LifeOfAKing-Movie.com. The cast of the new ABC fantasy drama “Resurrection” (clockwise) Omar Epps, Francis Fisher, Landon Gimenez, and Kurtwood Smith. *I went to support the Disney/ABC Television Group 2014 Winter Press Tour (TCA) session when they announced their new and recurring programs. ABC Family Network president Tom Aseheim gave the welcome and ABC Entertainment Group’s president Paul Lee was on hand for a Q and A session about the programs. ABC Family brings back “The Fosters” starring Teri Polo (Meet the Parents) and Sherri Saum (“Rescue Me”) for a second season which premiered January 13, 2013 – it airs on Mondays at 9 p.m. ET/PT. ABC introduced a new series “The Black Box” starring Kelly Reilly (Flight) as Dr. Catherine Black a neuroscientist, to premiere April 24th at 10 p.m. ET. ABC brings back for a third season “Suburgatory” starring Jeremy Sisto as George Altman (“Six Feet Under”) a single father from New York trying to make it in the suburbs, it premiered January 15th and airs on Wednesdays at 8:30 p.m. ET/PT. ABC will premiere a new series “Mind Games” starring Christian Slater (“The West Wing”) as Ross and Steve Zahn (“Treme”) as Clark, two brothers that sell psychological manipulation as a business – it premiers February 25th at 10 p.m. ET. ABC’s reality show “Nashville” returns for a second season with Connie Britton. ABC’s “Mixology,” executive produced by Ryan Seacrest, will be a new comedy series about one night with a group of people at a bar. “Mixology” premieres February 26th replacing “Super Fun Night” – to air on Wednesdays at 9:30 p.m. ET/PT. 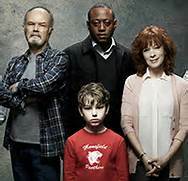 It also announced a new dramatic series “Resurrection” starring Omar Epps (“House”) as J. Martin Bellamy a stranger with a hard-to-believe message for Henry Langston played by Kurtwood Smith (“The 70s Show”) and Lucille Langston played by Frances Fisher (Titanic) that their son thought died – Jacob Langston played by Landon Gimenez – for almost 32 years has been found alive, but he is still at the same age. “Resurrection” will premiere Sunday, March 9th at 9 p.m. ET/PT. 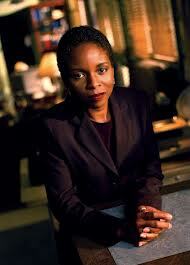 “Eventually, you open up to the possibility,” Epps pointed out about the message of the supernatural/science fiction/fantasy series. The author of “The Return” is Jason Mott who is also a co-executive producer on the show, along with Brad Pitt. Mott and Pitt, along with co-executive producer Aaron Zelman developed the series. Learn more about ABC’s 2014 programming at www.ABC.Go.com/shows. (Syndicated Columnist: Eunice Moseley, has an estimated weekly readership of over ¼ million with The Pulse of Entertainment – she is also a Public Relations/Business consultant and Promotions Director (at-large) for The Baltimore Times. Her Event: Baltimore “Uplifting Minds II” one day national entertainment conference (seminar panel & talent competition) at Security Square Mall Sat. April 19, 2014. www.FreelanceAssociatesInc.com, www.ThePulseofEntertainment.com, www.UpliftingMinds2.com). Previous ArticleThe Daily Beast Asks: Justin Bieber or Richard Sherman, Who’s the ‘Thug’?